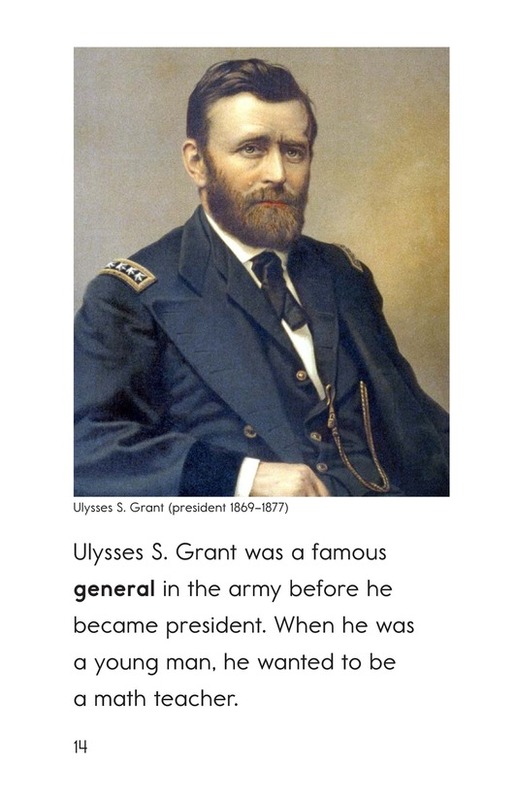 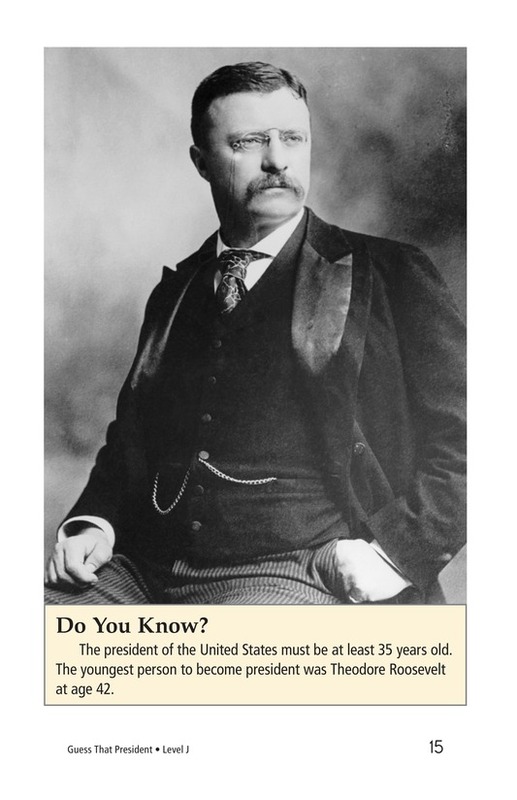 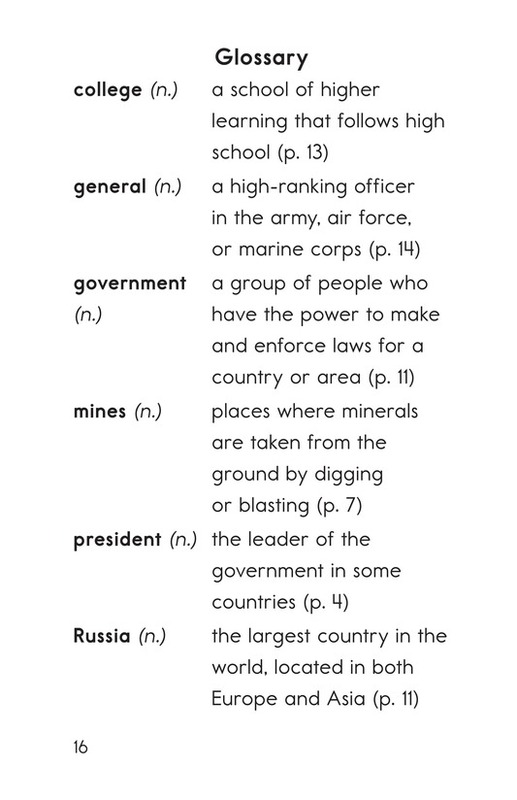 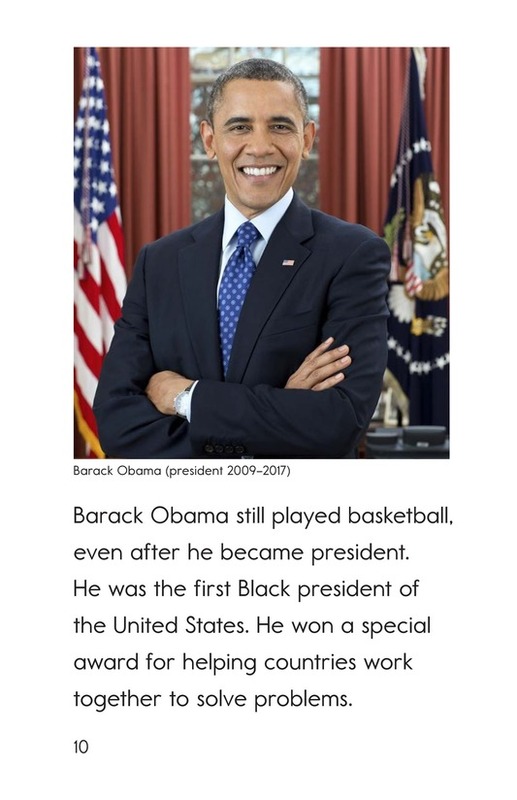 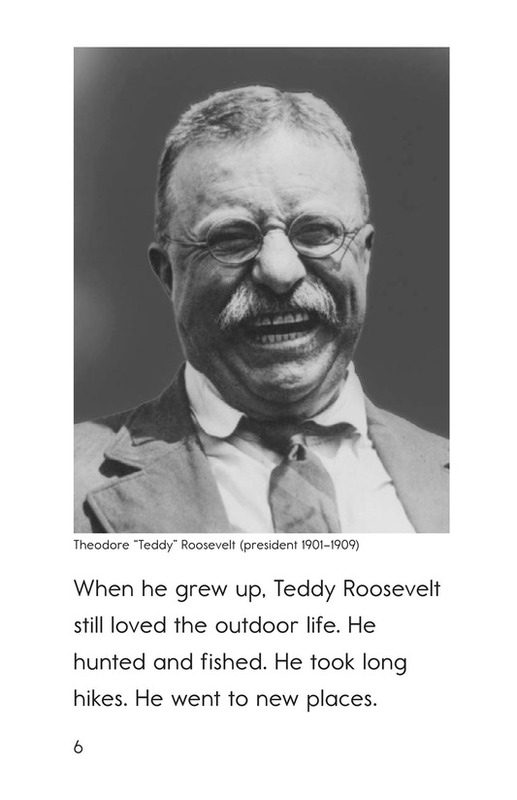 How much do you know about the presidents? 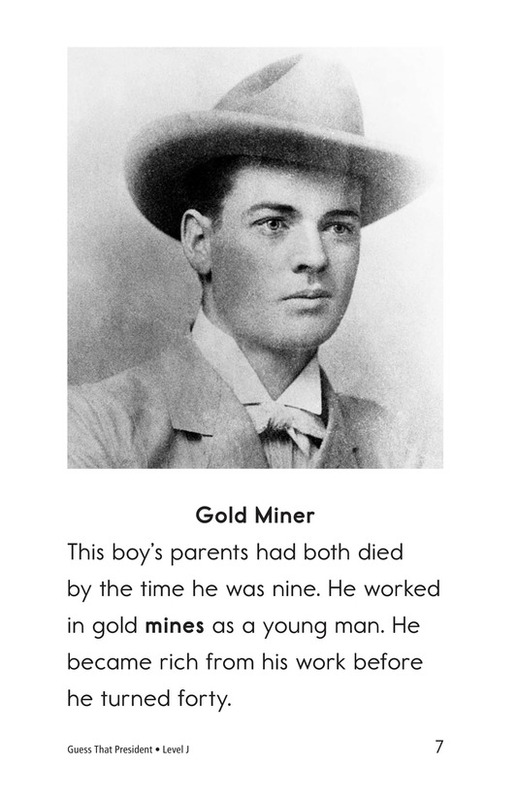 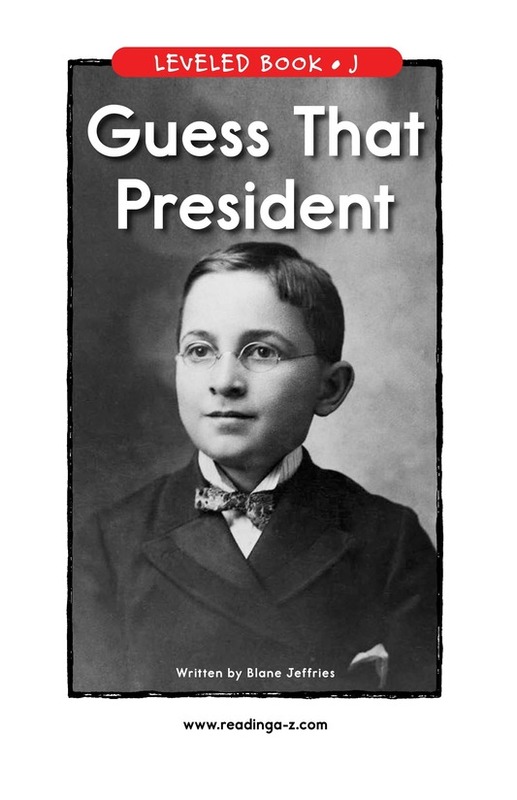 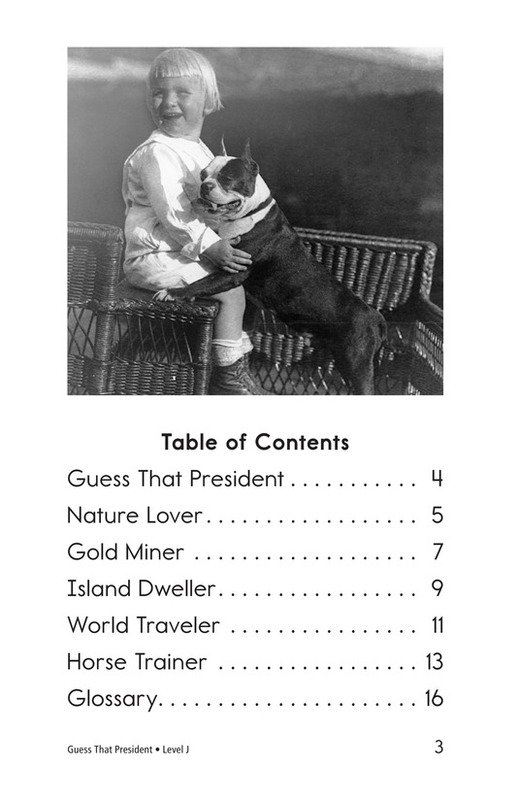 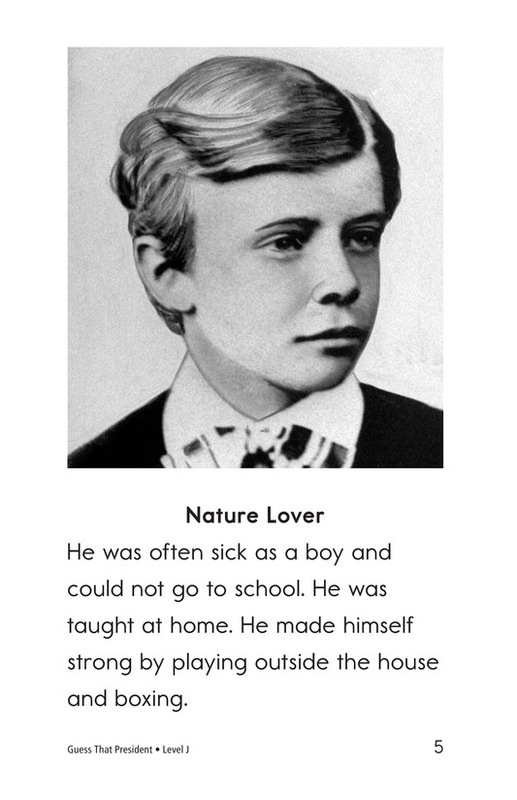 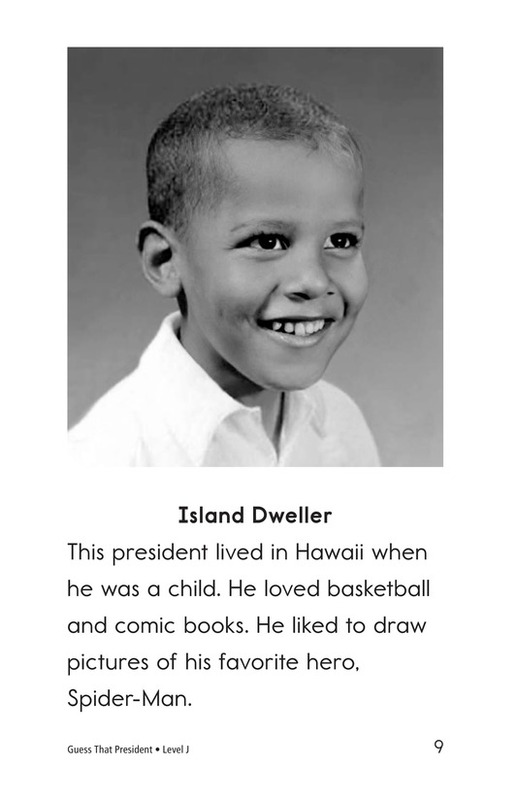 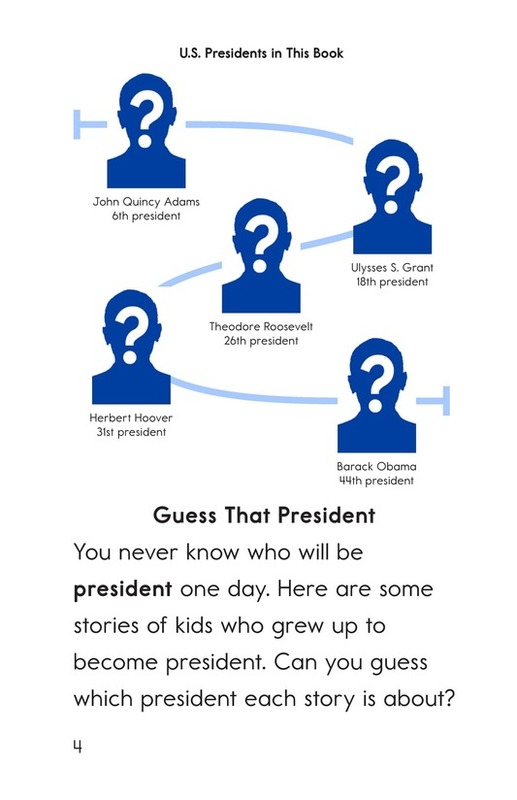 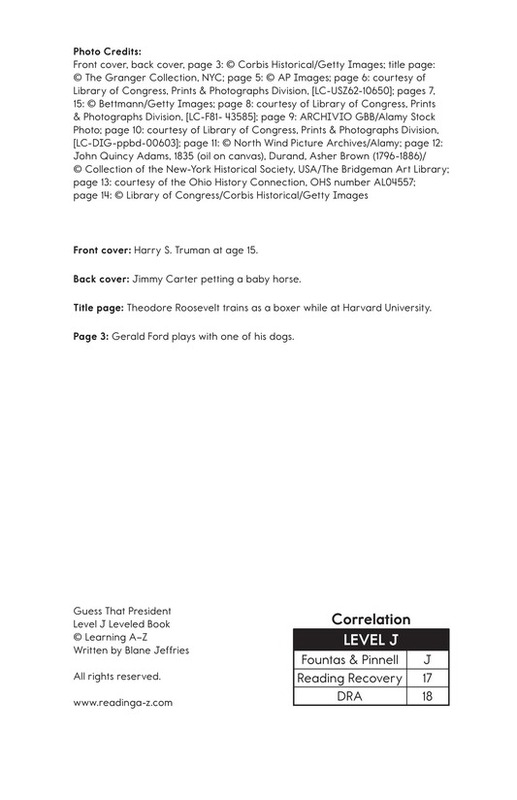 Guess That President asks readers to guess the identity of several presidents on the basis of clues and stories about them as children. 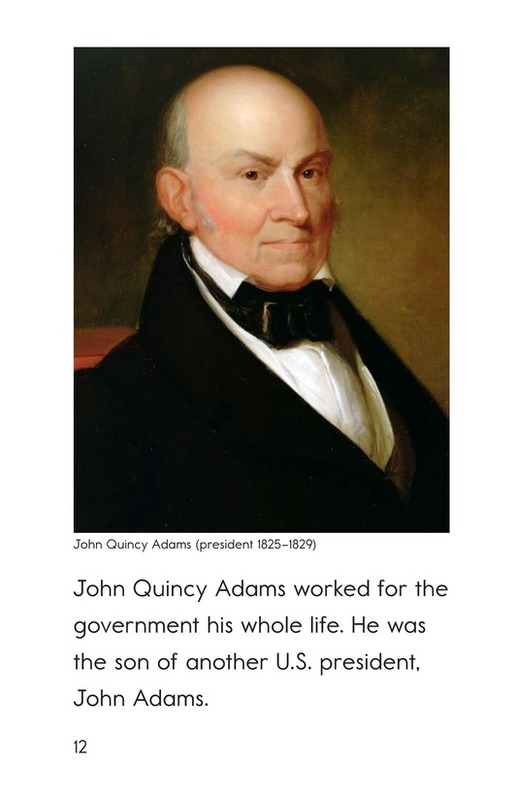 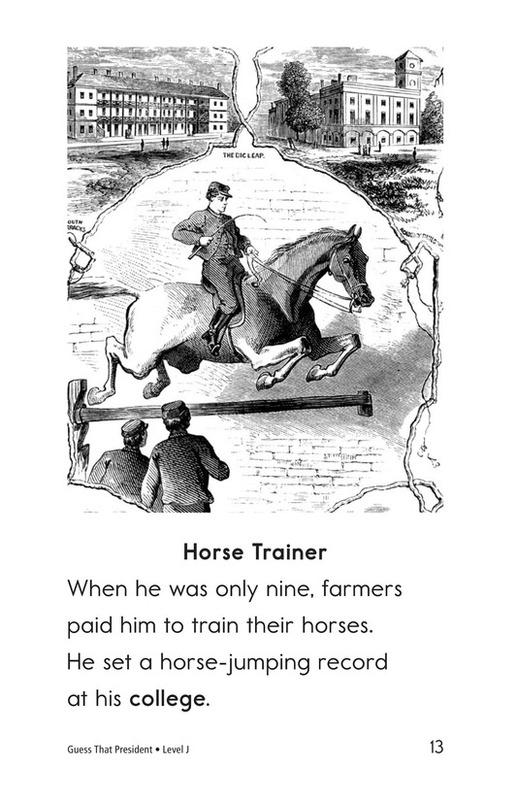 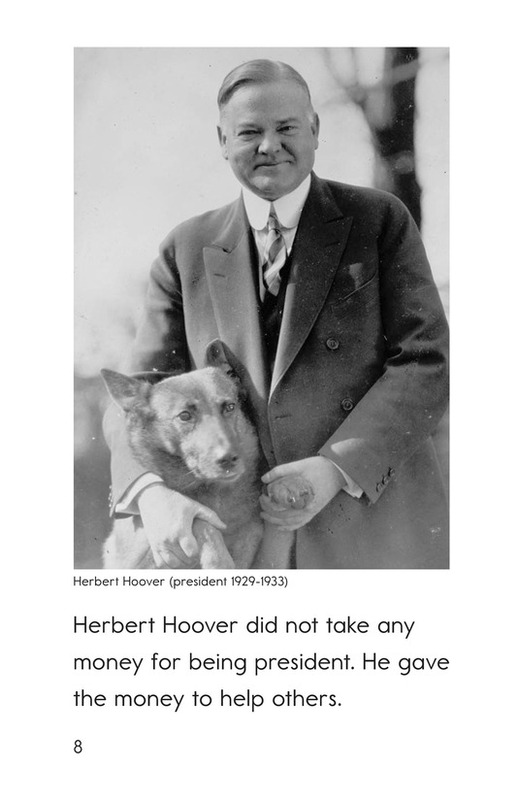 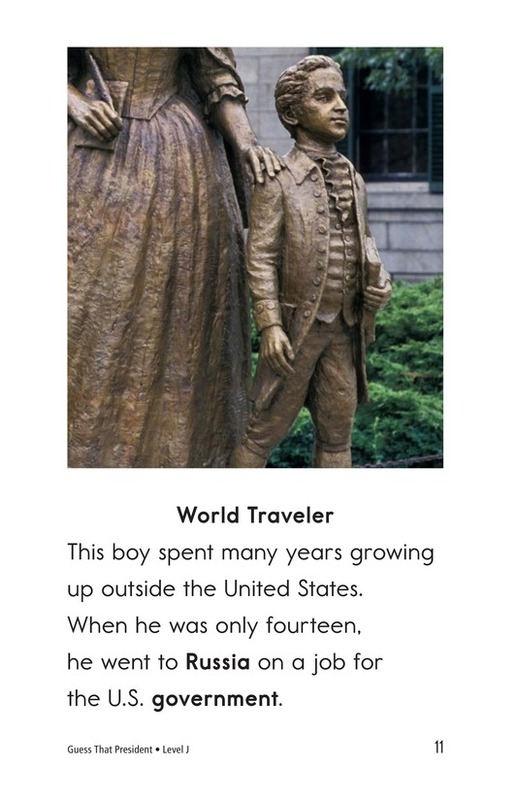 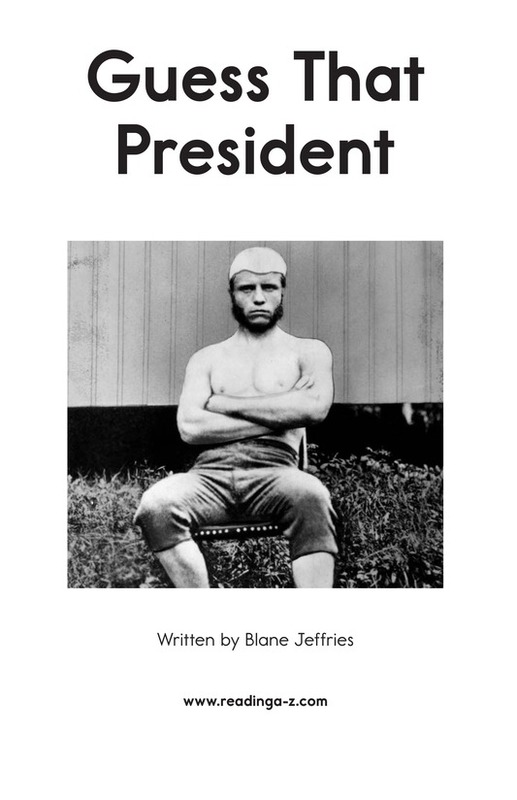 This book uses a creative mystery format to generate interest in leaders of the United States and presents a chance to teach emergent readers about making inferences and using past-tense verbs.